is to do what you are afraid to do. We hate in others what we most fear in ourselves. Listen or your tongue will keep you deaf. He who asks a question is a fool for five minutes. He who does not ask a question remains a fool forever. The key to happiness is having dreams. The key to success is making your dreams come true. when it doesn't matter who gets the credit. Be a Human BEing Rather Than a Human DOing. teach a man to fish and he will eat for a lifetime. If at first you don't succeed, try try again. 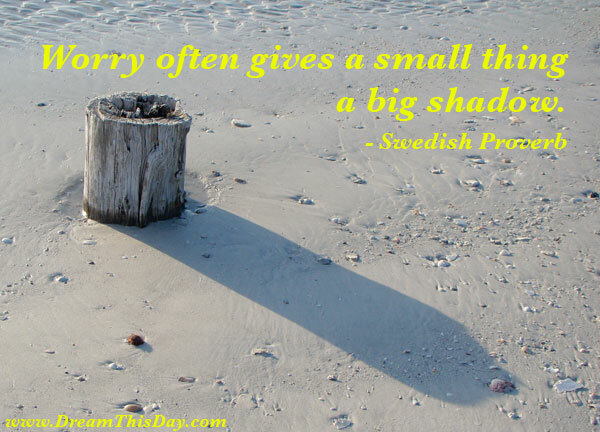 Thank you for visiting: Worry often gives a small thing a big shadow. ... by Anonymous.